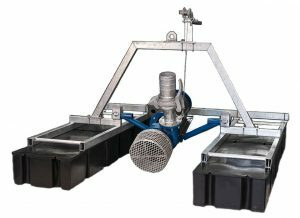 When your surface water pumping application demands the versatility and convenience of a floating pump system Canfield Custom Pump offers two proven product lines, Turbi-Float® and Centri-Float®. 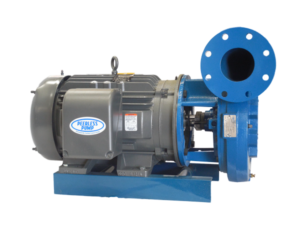 The Centri-Float® lineup solves the “middle-range” of common pumping applications which include horsepower ratings through 50 including flows and heads within the capacity of popular end suction centrifugal pumps. 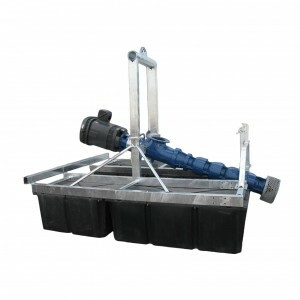 These durable, economical units are an excellent choice when the job can be done effectively within the scope of the single-stage design limits. 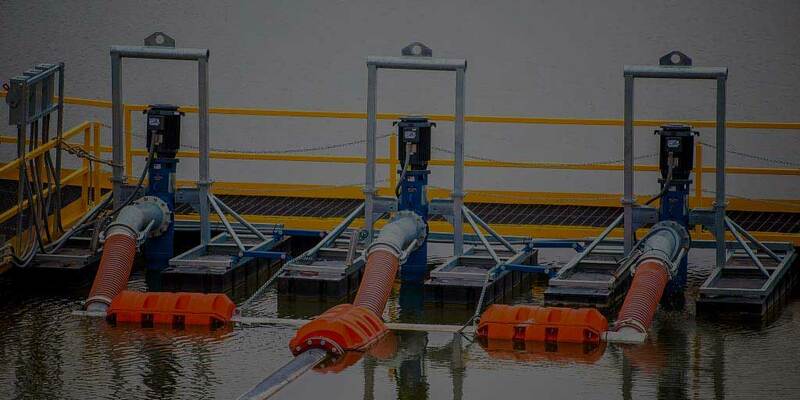 The Turbi-Float® product line with its multi-stage capable design extends beyond the limits of Centri-Float® models where low-flow/ high-head, high-flow low head, or both high-flow and high-head are system requirements with horsepowers through 150. The seal-less design and high efficiency ratings are a result of unique design elements and targeted application performance ratings. Find an authorized Turbi-Float® or Centri-Float® Dealer near you. In production for over 25-years, Turbi-Float® delivers the wide range of hydraulics made possible with vertical lineshaft turbine, mixed-flow, and propeller pump bowls. Seal-less design offers extreme durability and low maintenance requirements. Flows to 4500 gallons per minute, heads to 350 feet, horsepower through 150. 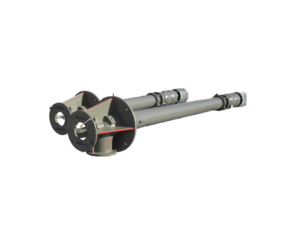 When system requirements can be handled with standard end suction centrifugals, Centri-Float® offers many of the features in our Turbi-Float® line in a high-value package. Flows to 1800 gpm, heads to 175 feet, and horsepower through 50. Canfield Custom Pumps is a stocking distributor of several major manufacturers’ lines such as Flowserve®, Peerless®, Cornell® pump, and others. Specification, design, assembly, and shipment from our facility provides competitive pricing and short lead-times. Ready to buy? 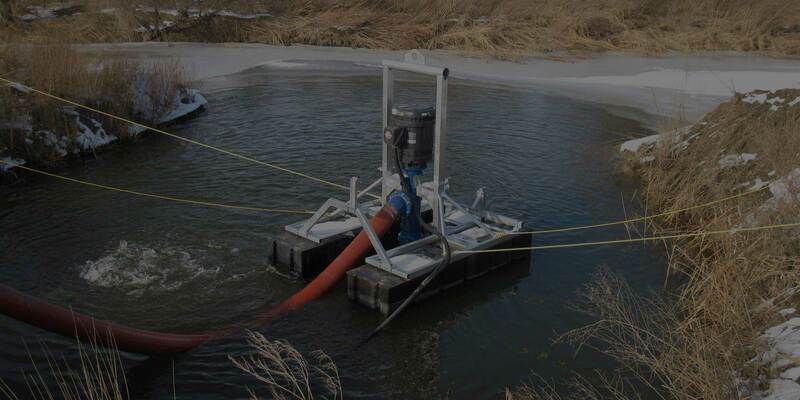 Contact us so we can help you select the right pump for your needs.